A silhouette illustration of a guitarist. Brilliant design from our collection of guitar wall art stickers to decorate those empty spaces at home. If you want to give your home a new and fun appearance along with a fantastic atmosphere then this guitar decal is for you. 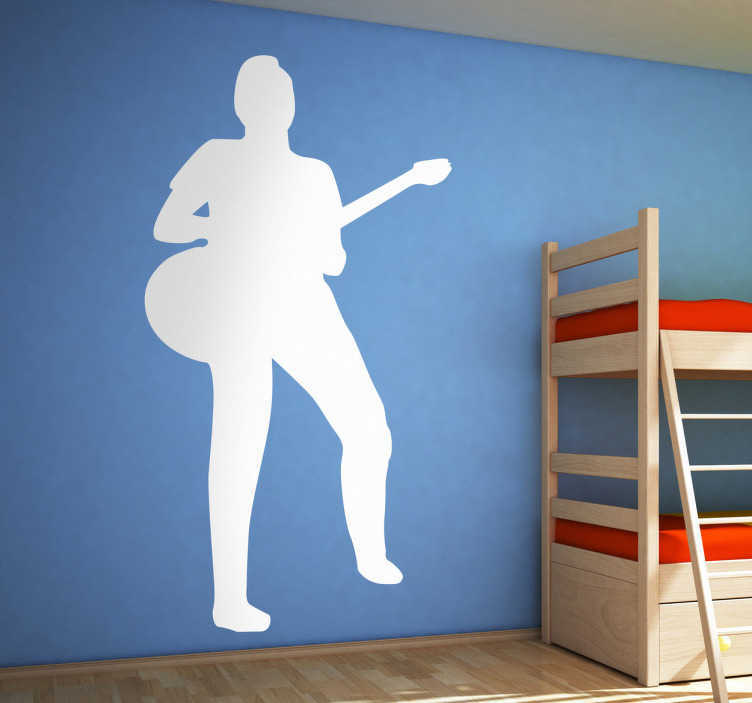 This guitarist silhouette design is available in various sizes and in 50 colours. Ideal for those who love thier guitar or have a passion for music. Decals made from high quality vinyl, easy to apply and remove. Decorate walls, appliances, devices and more.